HomeEnglish coursePresent progressive English explained in the Beginners Course 16. 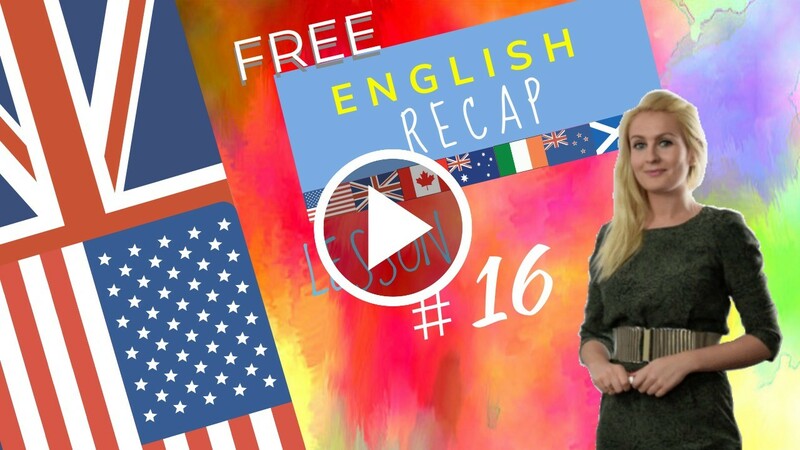 March 16, 2018 julia English course Comments Off on Present progressive English explained in the Beginners Course 16. This English tutorial is focusing revision of the present continuous / present progressive english and spelling changes made to the verb when creating the -ing form. Hi guys welcome back welcome to lesson 16 I’m Julia, your online English teacher. MAN: We are now ready to communicate. Are you understanding everything so far? When you are learning a language, it is important to have a solid base. Listen to the way I speak. You really try to imitate. You try the same with other characters. Please put comments on this page. So I can improve the lessons. I hope you are enjoying the lessons! Revision of the present continuous / present progressive english. Revision of the present continuous / present progressive english and spelling changes made to the verb when creating the -ing form. Yes it is very important to pronounce well. Yes I am learning English and I am having fun. Welcome back to those who have already completed the A1 level with me and a warm welcome to those starting the course today with lesson 16 which marks the beginning of level A2! Now you must be wondering: what are these recap videos? In a nutshell, at the end of each lesson, I will be appearing in a video and together we will do a revision of the key words of the lesson. So there are lots of pronunciation tips! And we will also incorporate some grammar examples. So with me, in the recap videos, the idea is to cover common mistakes so that you feel even more confident using the new vocabulary and the new grammar of each lesson! That’s about it! So let’s get started with recap video number 16! then some words – some are in the text, some aren’t – just to go through a silent letter. Then we’ll look at the vocabulary, the key words of today. And then we will do a quick grammar review to finish off. Those three pieces of advice please try and put them into practice today and in the following lessons with me. Let’s look at a silent letter! I am here because I want to learn English. I’m here because I want to learn English. Today’s lesson focused on the present continuous. This tense is also called the present progressive. Once again I’m telling you this. You don’t need to know all this. But at least if you’ve heard it before and you see it in a book “present progressive”? I know that! “Present continuous”: it’s the same thing! Most importantly: how do we form this tense? Today you saw that. Let’s just do a quick recap! I hope you enjoyed this video and the lesson! If you feel that this video was a little too much, please go and watch the dialogue again, watch the grammar video again, practise with the exercises. Then come back to this video. This video is ideal for revision, not for discovery. So if all the content that I’ve presented you with today is very new, don’t worry! It just means you need to spend a little more time on the actual lesson, on the platform, before coming back and watching this video again. In any case I thank you ever so much for watching! I look forward to seeing you in our next lesson!